You are asked to review a 50 year-old woman with worsening hypoxaemia during the night shift in ICU. Earlier that day she was admitted from the operating theatre following bilateral lung transplantation for idiopathic pulmonary fibrosis. Q1. What is your differential diagnosis for hypoxaemia in this patient? In this case, the endotracheal tube is correctly positioned and a suction catheter passes freely. You review the ventilator and see that it is working perfectly. Note also that, in patients with single lung transplants, dynamic hyperinflation can be a particular issue. This occurs because the allograft has relatively poor compliance so the native lung preferentially hyperexpands at high pressure settings. However, significanct dynamic hyperinflation is highly unlikely in bilateral lung transplant patients (unless the donor had asthma…!). Meanwhile, bedside echocardiography suggests intact cardiac function and you make sure that the patient is receiving appropriate antimicrobials. Q2. What does the CXR in Q1 show, and what diagnosis do you suspect? The notable finding is the presence of diffuse bilateral lung opacities. This is most likely due to primary graft dysfunction (PGD). PGD affects up to 30% of lung transplant patients in some series and is the most frequent and significant cause of early mortality following lung transplantation. In addition to bilateral infiltrates and a decreased PF ratio (PaO2/ FiO2), the diagnosis of PGD requires the exclusion of cardiogenic, infective and immunological causes. 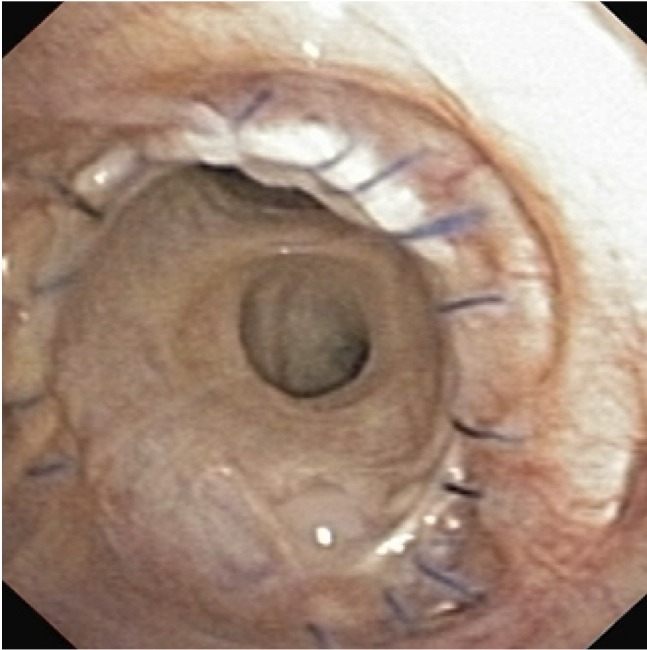 Early bronchoscopy should be performed once the patient is sufficiently stable to check that the bronchial anastomoses are healing well, obtain samples for microscopy, culture and PCR and exclude any causes of collapse such as blood clots or sputum plugs. Pulmonary venous obstruction due to kinking, inadvertent ligation, or thrombosis can also cause pulmonary edema and (often) hypotension due to impaired flow to the left atrium. This can is best diagnosed by trans-oesophageal echocardiography. 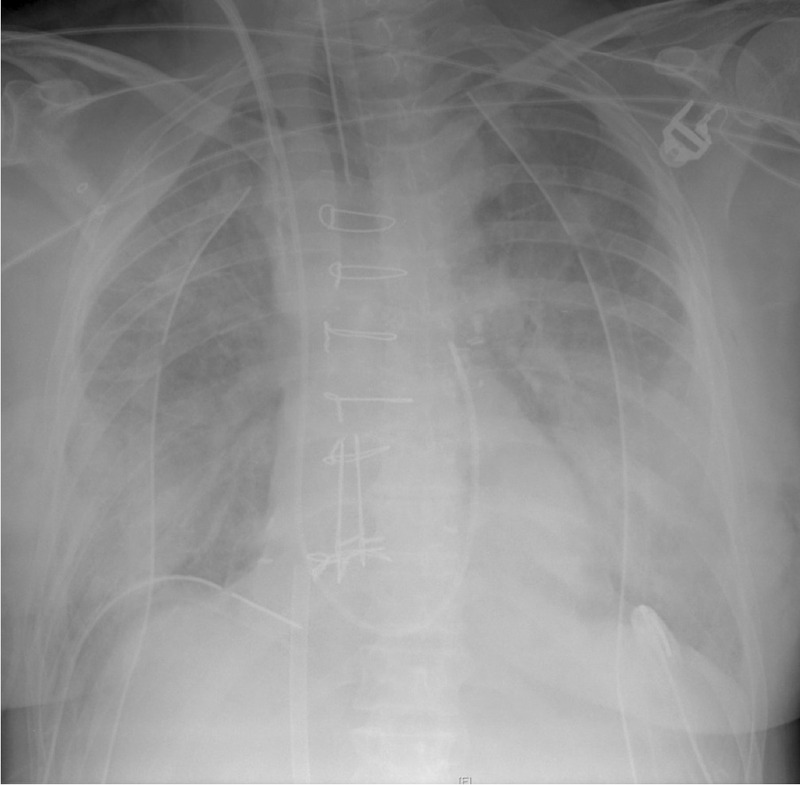 ECMO, as demonstrated in the chest radiograph, can be used as a rescue therapy for severe primary graft dysfunction (see Q4 and Q5). Q3. What are the underlying causes and risk factors for the most likey diagnosis mentioned in Q2? Q4. What is appropriate management of this condition? The respiratory management component of the lung transplant protocol at The Alfred ICU is primarily designed to prevent and amelioriate primary graft dysfunction. 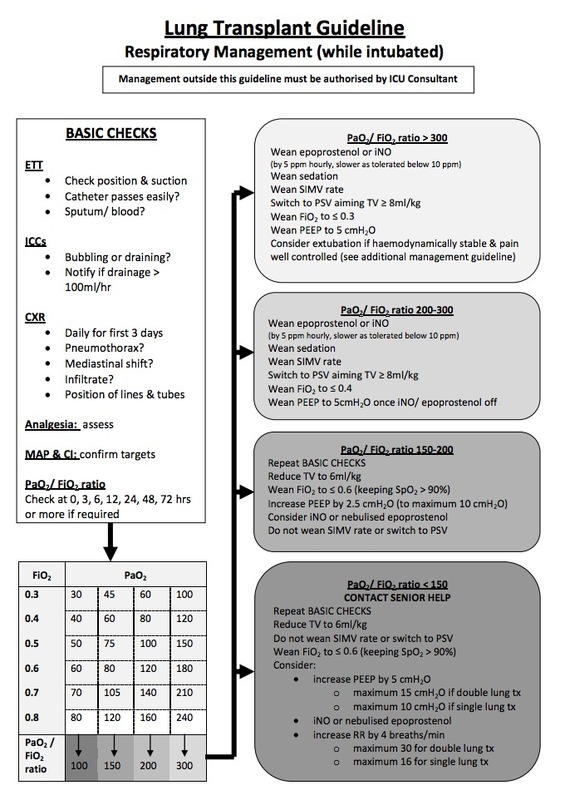 The protocol is based on regular assessment of the PF ratio as described by Currey et al, 2010. ECMO may be used as a rescue therapy allowing ‘bridge to recovery’ or, in rare refractory cases, bridge to re-transplantation. Q5. What are the important considerations if ECMO is used as a rescue therapy in this context? V-V ECMO can be used to provide ventilatory support. However, VA-ECMO may be used if there is significant co-existent cardiac dysfunction or pre-emptively in patients who had severe pulmonary hypertension… which has important ramifications for the lung transplant patient. If the V-A ECMO blood flow is too high the pulmonary circulation may be bypassed. This can be problematic as the bronchial arteries are typically sacrificed during lung transplantation and there is no longer any systemic blood supply to the lungs. Transplanted lungs are dependent on the pulmonary circulation for blood supply and this must be maintained. Thus VA-ECMO can be too much of a good thing, it avoids pulmonary congestion (especially in patients who previously had pulmonary hypertension) but may lead to lung ischaemia if too much blood flow is diverted from the transplanted lungs. Q6. What are the prognostic implications of this diagnosis? Currey J, Pilcher DV, Davies A, Scheinkestel C, Botti M, Bailey M, Snell G. Implementation of a management guideline aimed at minimizing the severity of primary graft dysfunction after lung transplant. J Thorac Cardiovasc Surg. 2010 Jan;139(1):154-61. doi: 10.1016/j.jtcvs.2009.08.031. Epub 2009 Nov 11. PMID: 19909995.
thats a fun case. whats the volume of lung transplant cases you guys do? Currently, there are about 85 lung transplant cases per year at The Alfred – a predicted 90+ cases in 2016 I think. An interesting stat, about 1in 30 of all lung transplants that have ever occurred worldwide have taken place at The Alfred!